Celebs Buying Their Own Red Carpet Gowns — A Scandal?? So we are in the midst of red carpet season — The Grammy’s, Golden Globes, SAG Awards & with the Oscar’s still to come. Outside of best & worst dressed lists there was one other topic that made some headlines recently — Hayden Panettiere buying her own dress for the Golden Globes. To me this sounds like “Wow, who cares, big deal!” I was surprised it was even discussed and thankfully that all seems to have subsided, I imagine because the whole issue was kind of pointless. But since it was discussed, I now have time to add in my 2 cents so here goes! 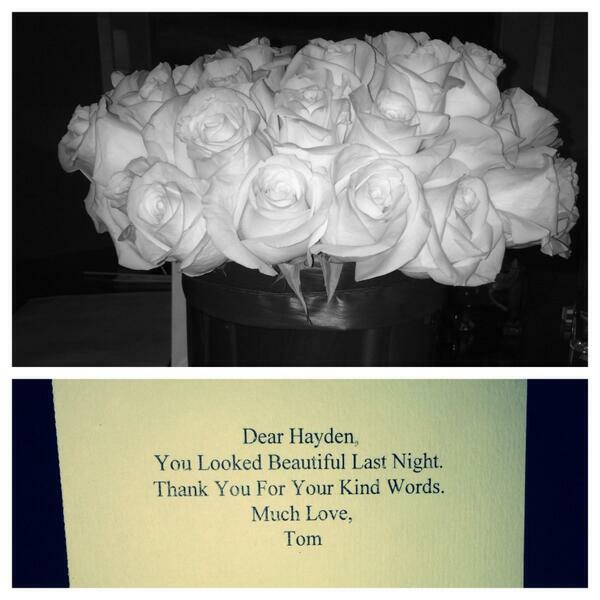 So Hayden is a huge fan of designer Tom Ford. The deal with red carpets usually goes that a designer lends their gowns/dresses to a celeb to wear via their stylist; this even goes to the jewelry, the heels, and the clutch. Generally you will only see 1 designer look per red carpet. Although lately, I’ve seen a few doubles — Lena Dunham & Sofia Vergara in Zac Posen at the Golden Globes; Virginie Ledoyen & Chiara Ferragni in Alberta Ferretti at the Venice Film Festival; Selena Gomez & Shannon Bex (of Danity Kane) in Versace at the 2013 VMAs. And heck, when you get to the accessories you see Jimmy Choo heels, Lorraine Schwartz or Harry Winston jewelry, and Edie Parker clutches all over the place! But so if Hayden wants to wear a Tom Ford dress and she has yet to have the opportunity to borrow one, it makes no logical sense why this is a bad thing. First off, Hayden didn’t do this intentionally or at least with any malice in mind. She loves a designer and wants to wear a piece from the designer. So she did what any other person in the world that could and would do — she bought a dress & wore it! She attempted the borrow method and it was not an option so she risked loss of status and having to wear a dress from last season just to show her support. And you can’t forget, she paid the big bucks, $10K to be exact! Secondly, Mr. Ford didn’t seem all to bothered since he sent Panettiere flowers to thank her for the support, which she tweeted about. Even though, a point was made when Tom Ford’s reps said they didn’t “officially” dress the Nashville star. 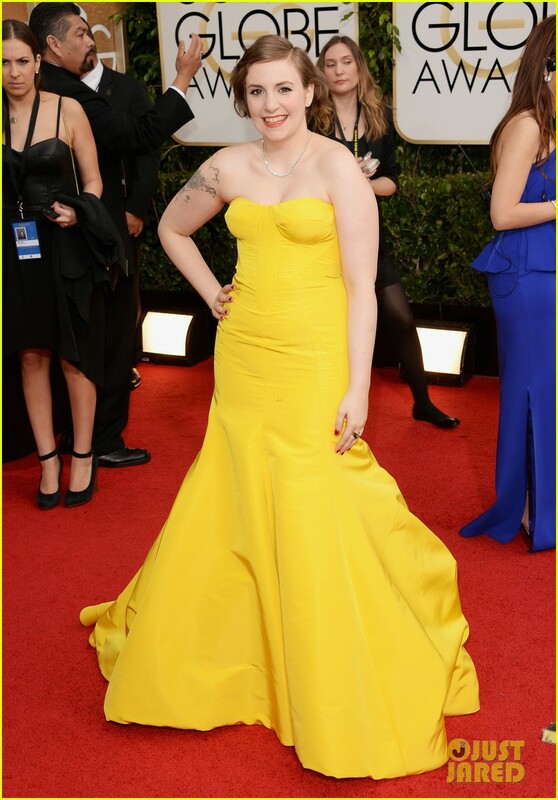 And Ford is known for wanting that fashion moment by usually only dressing 1 female per red carpet. But how bad could it be to double up on that fashion moment? Naomi Watts was the lucky lottery winner for the Tom Ford look on the night of the Golden Globes and she certainly stunned. But it’s not like Hayden didn’t receive great comments as well. So now, Ford is getting even more recognition, and for what?? — exactly what he should want, his stunning designs and creations. And yes, a designer is certainly about the creative process, but making money certainly fits into that equation too! For this situation, several parties are making money on it — the store and the designer. I think this older comment I found from “The Fashion Spot” is quite literally spot on! These dresses range from $5000 and even up to $30,000. Most gowns are on loan and so it leaves me to wonder who is buying these lavish gowns? I’m sure people are, but you have to think that number is very limited — someone with money and a place to wear it. Hayden’s dress was from last season and clearly still available so it’s not a bad thing for it to be purchased now. The longer it stays on the rack, the more money that is lost, DUH! Kate Hudson recently discussed the issue of loaning gowns and about why she doesn’t purchase the ones she wears, simply put, it’s too expensive! Of course this was in no relation to this recent fashion “faux pas.” This again goes to show that the celebs & the Hollywood crowd are not buying these lavish gowns. So if a celeb wants to splurge once a year on a gown then perhaps the fashion world should encourage this rather than disc, shame, and pick fun at! Maybe that is why celebs haven’t done this too often before. But consider this, if it’s a big honor for a designer to loan you a dress, isn’t it just as big an honor for a person to spend $1000s on that designer’s dress? Also, it might be this big anointing feeling when a major designer wants you to wear their look, but you have to remember one thing, the celeb is very seldom given that dress. Yes, J.Law looks great in Dior, but she is not keeping all those dresses and that is the same for other designer/celeb partnerships — Taylor Schilling w/ Thakoon or Kristen Stewart with Balenciaga. I think if people weren’t worried about this backlash they might splurge once in awhile. Again, this boosts the economy and specifically to the fashion sector, no harm, no foul. The major contention seems to be coming from fashion journalist Jim Shi and a tweet of his — “Hayden Panettiere BOUGHT her Tom Ford dress at RETAIL. Tsk tsk”, which is apparently the equivalent of “sorry, this seat is taken!” Although, I’ve yet to find another site or critic who was quite so harsh. It’s nice to see that most fashion critics and journalists get the logic here. And is this all really unheard of? I didn’t go back to discover past celebs who’ve purchased items for the red carpet, but apparently Edie Falco also bought her Lanvin gown, which she too wore at the Golden Globes. Emma Roberts was also in Lanvin on the same night, but Edie’s purchase wasn’t discussed in any of the various articles on this fashion rule that was supposedly broken by Hayden, kind of odd?? I say go Hayden, go Edie, and go whomever else wants to treat themselves every once in awhile and wear what they want. If you don’t make that designer’s short list, to heck with it! No one should be made to feel that they are not worthy enough to wear a gown. If they are willing to go the distance in buying a gown, support that, don’t hate! In the meantime, I can’t wait for fashion week and more red carpets! !